Krewe Crescent City BBQ, the 1109 Lincoln eatery that was a rib bone’s throw from my condo, closed last week after less than a year in business. Add Krewe onto the casualty list of predecessors – Cielo, Donkey Den, Sutra, The Hive – that have failed to make it in that space which hasn’t found its restaurant legs since the days of the Denver Buffalo Company. Remember when the lovely Lannie Garrett was the chanteuse in residence at the Buffalo Company? But Stoney’s, the bar next door has made its past the four-year mark, so operators Stoney Jesseph and Will Trautman opted to expand the successful bar as a private party area in the failed Krewe spot. See the rest of the story, first reported by Westword, at www.blogs.westword.com/cafesociety/2014/12/krewe_crescent_city_bbq_closes_will_merge_with_stoneys.php. Block and Larder, the newest venture from the Forgy brothers, Jason, Aaron and chef Lucas, who opened Freshcraf in 2010 in downtown Denver, marked its official opening Wednesday at 4000 Tennyson St.
Block & Larder is a modern take on a chophouse, placing emphasis a variety of proteins. These meats, along with salads, snacks and soups will be offered on the menu. Named for a butcher’s block and the medieval term for a well-stocked pantry, a larder, the 2,800-square-foot restaurant will be open for lunch and dinner. Brunch service will be added later. Block & Larder will seat just under 100 in a rustic space accented with wood, iron and stainless steel elements. Block & Larder’s hours are 11 a.m. to 10 p.m. Tuesday-Thursday, 11 a.m. to midnight Friday and Saturday and 11 a.m. to 10 p.m. Sunday. The restaurant is closed on Mondays. The restaurant is the latest development from Gravitas Development Group, a local real estate development firm specializing in projects that embrace and enhance neighborhood identity. For more information, visit www.blockandlarder.com or follow at facebook.com/blockandlarder. Chop Shop Casual Urban Eatery, a refined casual American grill with a global influence, opened Thursday in Denver’s East Colfax neighborhood at 4990 E. Colfax. The fast-casual concept combines quick service for a casual market that strives to serve the freshest ingredients, highest standards and inventive techniques. Customers can enjoy a quick healthy and local lunch or dinner to go, and also a comfortable space for patrons to linger for a tap beer or pour of keg wine. Owner and executive chef Clint Wangsnes (former top toque at Zengo) brings a diverse blend of his coastal trainings in Florida, California, Oregon and Hawaii, combined with Asian and Mexican influences from nearly a decade with famed chef and restaurateur Richard Sandoval. The Chop Shop menu is seasonally crafted and prepared by chefs with a focus on clean and healthy eating, with an expansive kids menu. The steakhouse concept heavily influences the menu selections, but not the price. Chop Shop also has a certified sous-vide program. The meals focus around a protein served as a side, and sides as the centerpieces such as a 48-hour slow-cooked short rib with grilled baby carrots and whipped potatoes in a three-peppercorn hoisin demi glace. Additionally, there is a selection of craft beer, wine and a seasonal cocktail as well as all natural cane sodas. 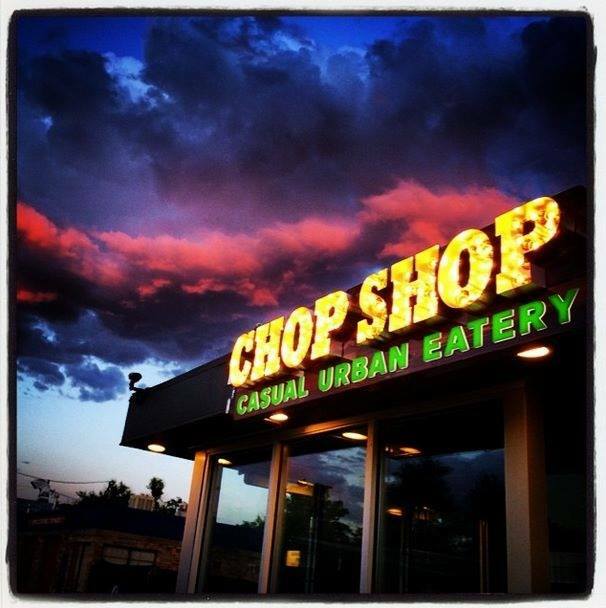 Chop Shop Casual Urban Eatery is open daily from 11 a.m. until 10 p.m. Online ordering and take out is available. For more information, visit: www.coloradochopshop.com, Facebook: Chop Shop Casual Urban Eatery or Twitter: @CoChopShop or call 720-550-7665. Lori and Belton Garner of Cleatz Northfield want to showcase their new restaurant and menu by hosting a prix fixe dinner on at 6:30 Monday. The price is $28 including tax, tip, beer and wine. They are bringing a taste of the south to Denver. The menu will include their famous chicken wings, fried pork chops, catfish, okra and Belton’s homemade peach cobbler. Make your reservations today at 720-379-6644. More information at www.cleatz.com. The Corner House, the Jefferson Park eatery founded by Seattle Fish Co. “school master” James Iacino and celebrated chef Matt Selby (Vesta Dipping Grill, Steuben’s, Ace), closed Saturday, according to a story in Westword. Within less than a year of opening, Selby split from the neighborhood eatery for unclear reasons. Selby is now the top toque at Central Bistro in LoHi. Restaurant consultant and marketing maven Leigh Sullivan, who handles the restaurant’s public relations, became a part-owner, but according to Westword, the investment was too little too late. The space has been taken over by an unnamed “up-and-coming” chef, who will reopen with a new concept. Check out the whole story at www.blogs.westword.com/cafesociety/2014/06/corner_house_closes_in_jefferson_park.php. Jasinski, who along with business partner Beth Gruitch, will open Stoic & Genuine, a fancy fish house, inside the renovated historic Union Station next month. Last week, media members were invited to lunch at Rioja, another Jasinski-Gruitch restaurant, to sample menu items from the S&G menu. If you can get past the stodgy name, you’ll find a fish and oyster place swimming in creativity and downright deliciousness. 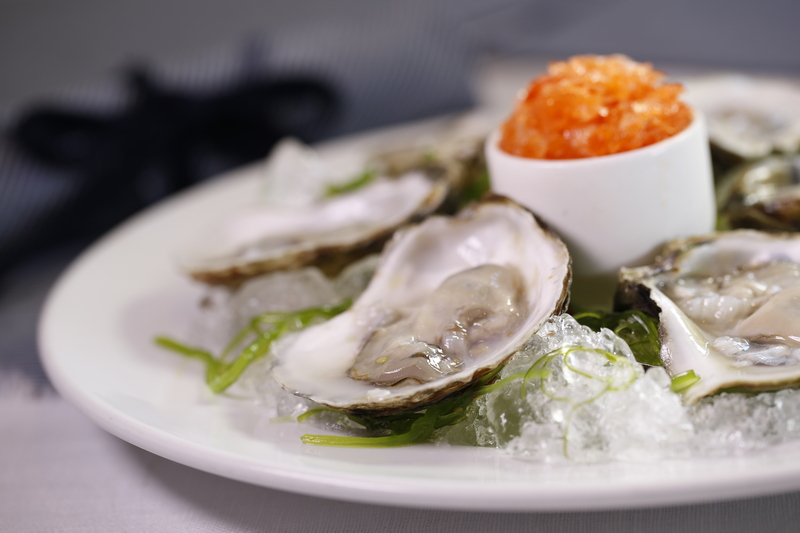 We sampled oysters on the half-shell topped with flavored granitas, a Jasinski favorite since she cooked at Wolfgang Puck’s restaurant Granita in Southern California. The granita theme is carried over to the bar where several signature cocktails contain the shaved ice. 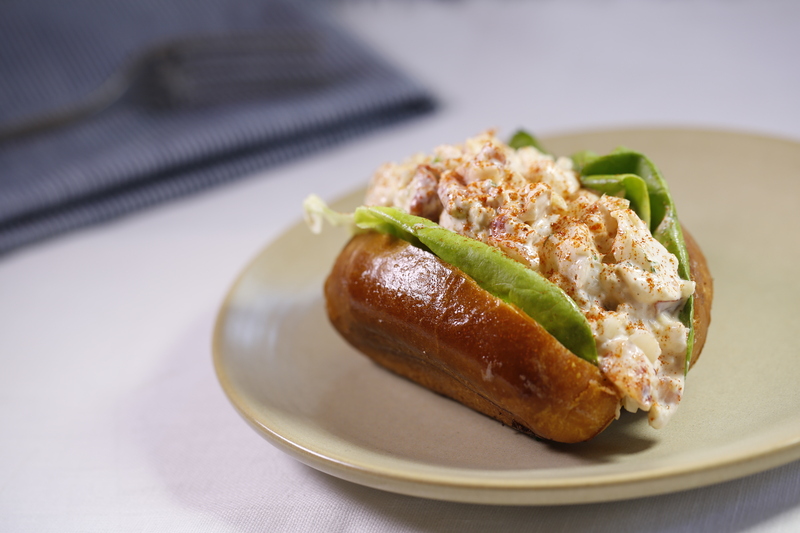 Another welcome menu item are the whole belly fried clams and non-goopy lobster roll. Jasinski’s take on Crab Louie throws out the traditional Russian or Thousand Island dressing in favor of Green Goddess. Corn bread is served in a corn-cob-shaped cast iron tray. Other offerings include Billi Bi, a classic-mussel soup with grilled ciabatta and aioli; tuna avocado roulate – yellowfin tuna tartare, smoked jalapeno and radish; broccoli salad with toasted sunflower seeds, avocado, honey crisp apple and ponzu-sesame vinaigrette, and strawberries and cream in a jar with whipped mascarpone cream, doughnut sticks and basil. The sample lunch left is craving for more. Jorel Pierce (of Jasinski-Gruitch-owned Euclid Hall) is S&G’s chef de cuisine, and Alaina Silva is the general manager. More information at www.stoicandgenuine.com. Paul Attardi, a popular presence in Denver’s restaurant world, will be stepping down from his role as maitre’ d and a front-of-house staff member at Old Major, the nose-to-tail restaurant at 3316 Tejon St., at the end of the month. Attardi joined Old Major a year ago after taking some time off from Denver and the hospitality industry where he lived and worked for many years. 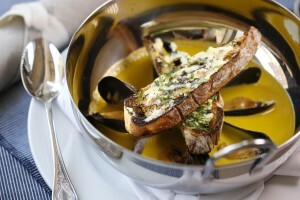 Attardi, along with business partner and chef Alex Seidel, launched the much-lauded Fruition restaurant on Sixth Avenue. Attardi is going to enjoy the summer and spend time with his family, according to a press release. His successor has not been named. Prima, the second restaurant inside The Hotel Teatro, helmed by chef Kevin Taylor, closed at the end of March and will reopen in July as The Nickel on the renovated ground floor of the historical hotel. A chef-driven culinary concept, the menu will draw inspiration from its Rocky Mountain heritage, incorporating locally-sourced ingredients into rustic stripped-down Colorado fare. The décor of the space will echo the menu, featuring textiles sourced from the Rocky Mountain region; custom-made furnishings and industrial materials. The restaurant’s name pays homage to the hotel’s storied past. 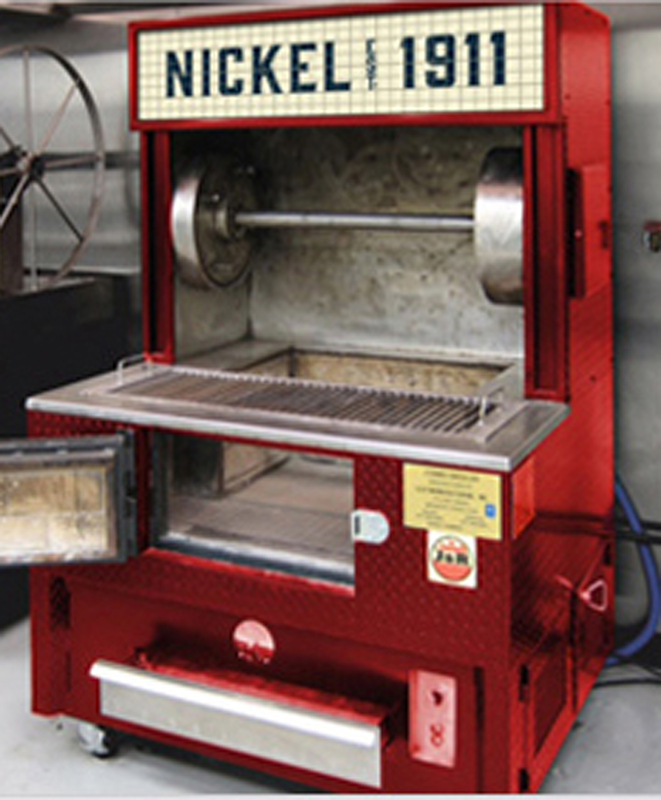 With an original vault dating back to the property’s origins as Denver’s Tramway Building in 1911, the space was once used to collect nickels from customers riding streetcars. 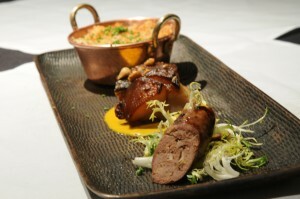 Leading The Nickel is chef/restaurateur, Jake Linzinmeir, a certified sommelier and executive chef. Coming from the mountains of Telluride to Denver, Linzinmeir brings an extensive knowledge of homegrown Colorado foods, having personally worked with farmers, ranchers and foragers across the state. In addition to executing the vision of the new restaurant, Linzinmeir will oversee catering and in-room menus, to the beverage program that includes a bar of house barrel-aged spirits and a coffee and wine lounge in the former Restaurant Kevin Taylor space, which closed earlier this month. As for the beverage program designed to complement the food, Linzinmeir said, “It’s much more fun to eat at a bar than drink in a restaurant.” The barrel-aged spirits will be accompanied by Colorado craft beers, a hand-selected wine collection and a coffee-roasting program. For more information, please visit: www.hotelteatro.com/the-nickel.